With the increasing threats of malicious cyber attacks on home PCs, Firewalla based in San Joe California is hoping to protect your family from cyber threats as well as help you control your children’s Internet usage while keeping them safe while online with a new device called Firewalla. Firewalla has been designed to provide an affordable simple to set up solution to protect your family and home network from outside third-party threats or malware and is even capable of protecting you when you’re out using public wireless hotspots if desired. Check out the demonstration video below to learn more about Firewalla which is available via Kickstarter with pledges starting from $48 for six months connectivity. If the Kickstarter campaign successful the service will roll out during October November 2017, although the service is only available in certain countries. 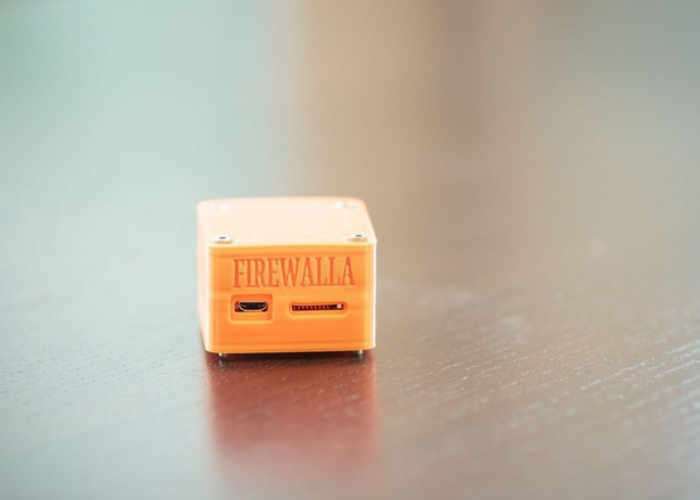 You need just one Firewalla to protect every single connected device at home. This tiny box contains the same cyber security technologies used by many large enterprises. It will provide one-for-all continuous protection from crippling cyber attacks even as new threats evolve. Up-and-running, as easy as 1-2-3! Zero frustration. • Connect your Firewalla to a power source and your main router. • Launch the app on your mobile device and scan the barcode. • Monitor and Manage your device from anywhere in the world with military strength encryption. • No password is required. Cyber security shouldn’t be complex and intimidating. We believe with the right software, cyber security can be made as simple as tapping on a few buttons. Introducing the Firewalla iOS App, which is already available in the app store. • Access your Firewalla device around the world with strong encryption. • Get notified on security and behavioral alerts. • Many of the important functions can be activated with just one tap! • With your generous support, we will make the Android app soon! Jump over to Kickstarter for more details via the link below.